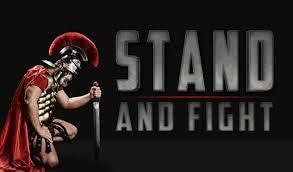 August 31st 2015 – Stand and Fight! * Put on the full Armor of God, stand against the devil’s schemes. Dear Heavenly Father, I am in the middle of spiritual warfare. I day upon you for guidance and strength in this battle against the enemy that is seeking to destroy my life and my family. I am claiming Victory in the name of Jesus Christ! I love you Lord and will stand firm in all battles because You are with me. In your precious Name… Amen. This entry was posted in spiritual warfare and tagged Celebrate Recovery, Christian, Christian devotions, Finding Jesus, Help me Jesus, Spiritual Warfar on August 31, 2015 by Rob Lavallee.